Additional facilities include, room service available with breakfast packs. Chargeback facility with selected restaurants. 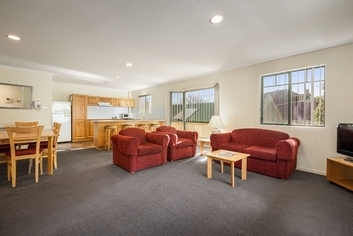 Close proximity to Hobart Aquatic Centre & Dockside, Fitness Gym. 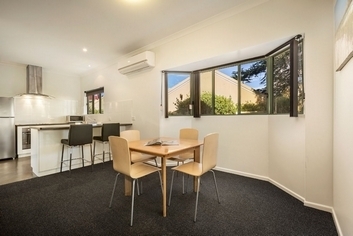 Walking distance to all Hobarts major sporting venues. Standard 2 bedroom apartment -rates are per apartment for up to 4 people using existing bedding 1 x queen & 1 x twin or 1 x queen & 1 x dbl Extra person rate $35.00p/n(max 2 extras) Rates are for 4 people. Extra adults $35.00. Extra children $35.00. 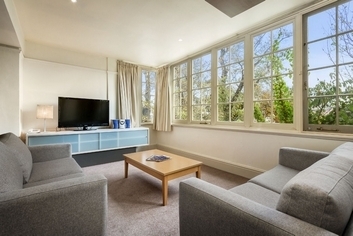 The room caters for a maximum of 4 adults, and a maximum of 2 children but cannot exceed 6 guests in total. The following bedding is provided1 Queen and 2 singles. Bedroom Apartment. 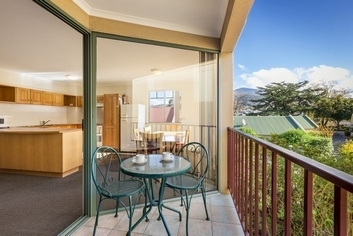 Hobart's largest - huge living dining areas, ideal for meetings. 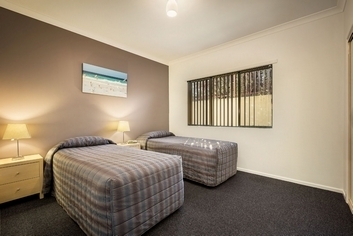 Rate is per apartment per night for up to 8 persons using existing bedding. 1 x queen, 2 x dbl, 1 x twin. extra person rate + $35 pn ( Max 2 extra persons) Rates are for 8 people. Extra adults $35.00. Extra children $35.00. 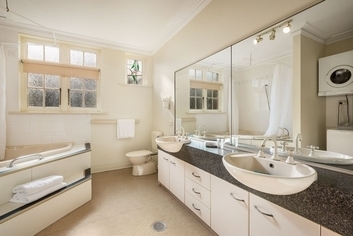 The room caters for a maximum of 6 adults, and a maximum of 4 children but cannot exceed 10 guests in total. 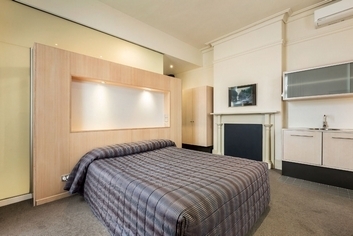 Beautifully restored & Heritage listed Sandstone building (circa 1840)Rate is Single or Double with Queen size bed (some twins). 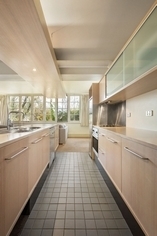 Kitchenette & Air Conditioning. Rates are for 2 people. 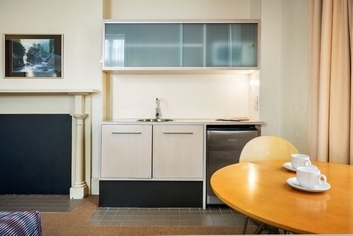 The room caters for a maximum of 2 adults. Available bedding configurations 1 Queen OR 2 Singles. 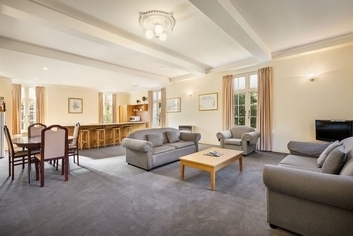 Larger apartments have spacious separate living areas to hold meetings away from bedroom. All car hire companies are aware of venue CNR Brooker Ave. & Davenport St.Hobart. 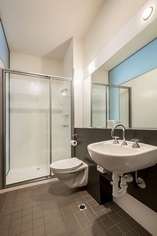 Close to all Sporting Venues, Hobart Aquatic Centre and Dockside Fitness (5 min. 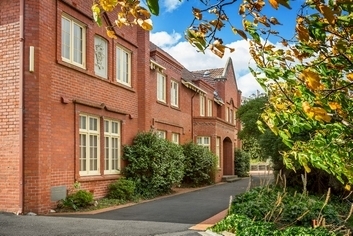 walk) 10 min walk to CBD and Historic Waterfront precinct. Ideal base from which to explore Southern Tasmania. Free BBQ area. 5 min. in Taxi or car to many restaurants/cafes. 15 min walk or 5 min drive to Salamanca Markets. Visit historic pubs with log fires. 15 min. 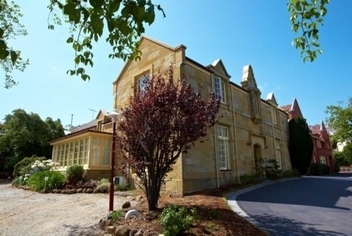 drive to historic Richmond and coal valley wine region.